When we think of dip, we usually think of a savoury dip. 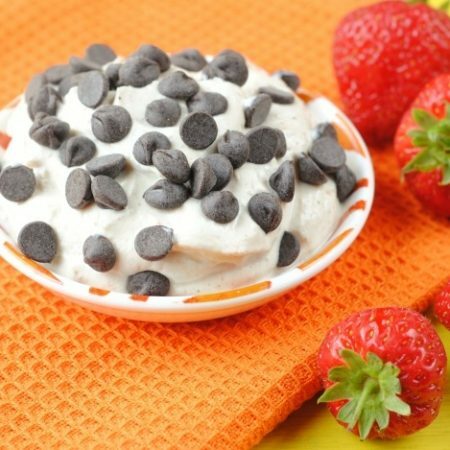 Today, I am bringing you an epic sweet dip that is packed with protein and that sprinkle of dark chocolate satisfies those chocolate cravings too. 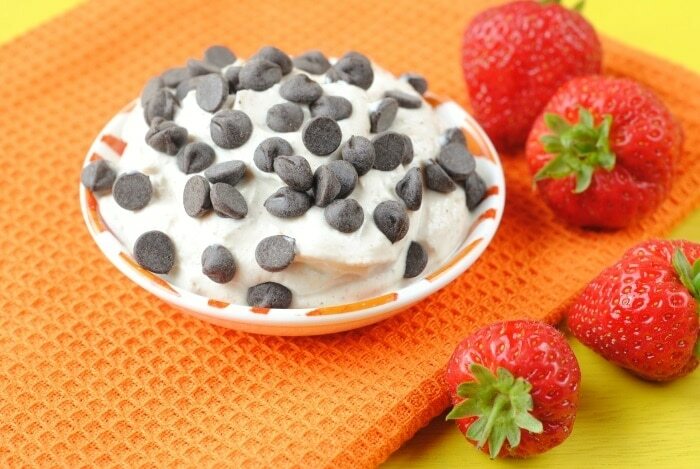 Enjoy this Chocolate Chip Cookie Dough Dip. Okay, so this isn’t actually cookie dough. If there was a healthy cookie dough, then I would be eating that stuff all day long. But this does satisfy a cookie dough craving as it tastes like it, but with much less calories. You could even add some chopped up berries too, but I wanted to keep it simple. I am on a bit of a dessert kick at the moment, so I have been experimenting with making some healthy desserts. Some have turned out really well and others have been a bit of a disaster – but that is what cooking is all about. 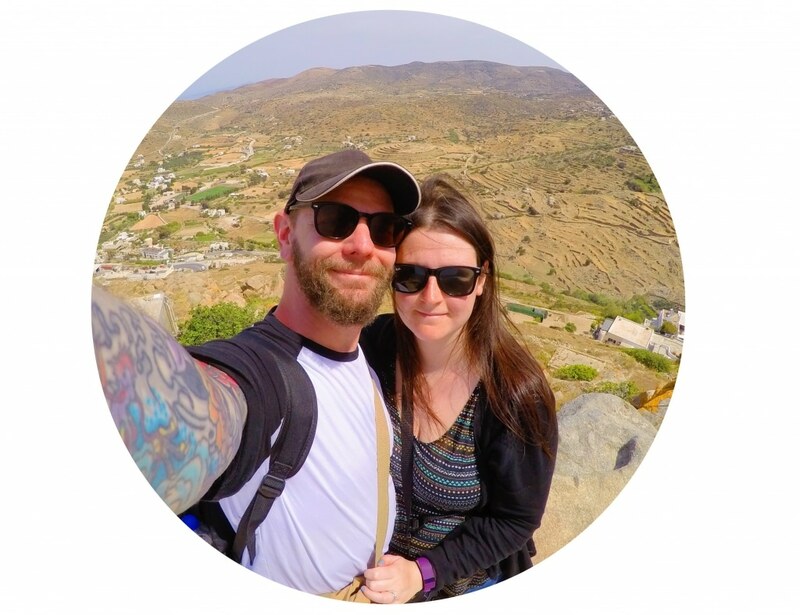 I shall be sharing lots more healthy and delicious desserts over the coming weeks as this final trimester of pregnancy has been all about the desserts for me and Dave is loving that and taking full advantage of it. As well as desserts, I am all about the snacking. Pregnancy is exhausting, that’s a given, but I never realised how much I would need to snack to keep my energy up, otherwise I would be napping all the time (not that that sounds like a bad idea). So, I have been making sure that my snacks are as healthy as possible, which is why I was so happy when these boxes of EarlyBird Snacks arrived on my door step. I mean, it’s always a good day when snacks get delivered to your door, but even better when they are as good these. There are lots of snack box delivery services out there, but I find that some of them are less than healthy and most are plain boring, with just a delivery of some nuts and seeds. That’s where EarlyBird Snacks really come out on top in my opinion, as the choice of snacks is excellent and they are definitely balanced too. I got to try some apple and raspberry fruit jerky, beetroot and carrot chips, pecans, chocolate dates and mylk chocolate buttons and cocao and vanilla chia pudding to name a few. The chia pudding is amazing mixed in with this recipe, and Dave and I have been obsessed with it as our afternoon snack. EarlyBird Snacks and I share the same ethos in that being healthier is easier when the food you are eating tastes great, and there is no need for it not to taste great. They “go out of our way to source the highest quality ingredients for our snacks. We’ve swapped the mundane for the extraordinary: imagine guiltless crumbly creaminess, naturally sweet tanginess and saltless savoury crunch”. Their snacks have no refined sugars, artificial sweeteners, preservatives, flavours or colours. Why not order a box today and see how good they are for yourself! My obsession with Greek yoghurt knows no boundaries at the moment and I am finding so many different ways to use it. I was actually thinking about putting together a post about all the different ways to use Greek yoghurt. I think more people need to know the wonders of this ingredient and how versatile it is. 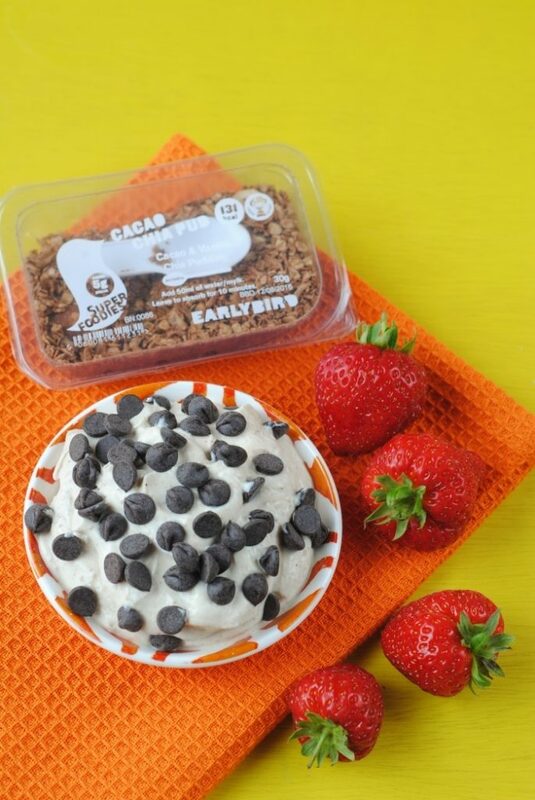 Whether you eat this for breakfast, dessert or a snack, give it a try this week! 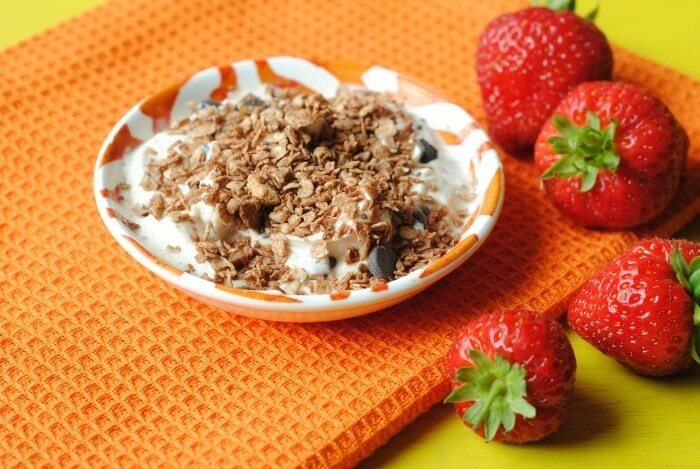 I am bringing you an epic sweet dip that is packed with protein and that sprinkle of dark chocolate satisfies those chocolate cravings too. 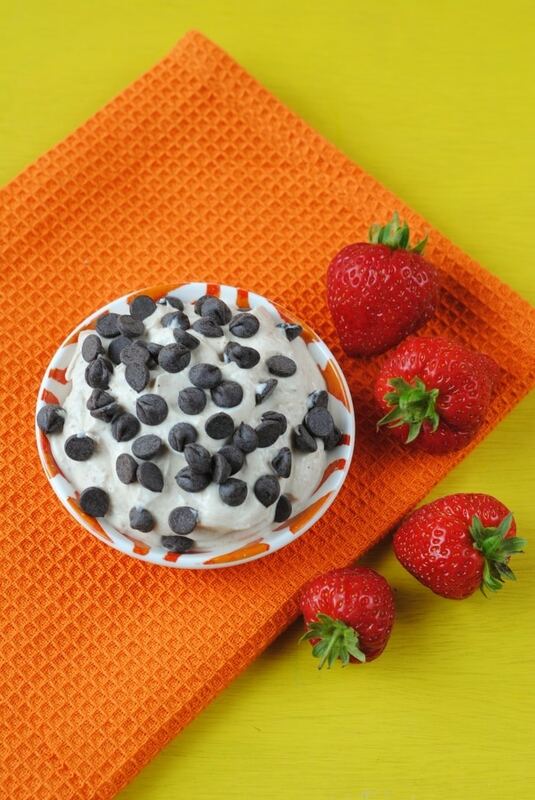 Enjoy this Chocolate Chip Cookie Dough Dip. Mix everything together and enjoy. Simple! This looks delicious! Greek yogurt is so sustaining and healthful. Thanks for sharing, Danni. This looks very yummy! Although I’d do it with Bulgarian yogurt. These snacks look tempting. What a great recipe. Honey and greek yogurt is a dreamy combination. Hope you are having a great weekend. 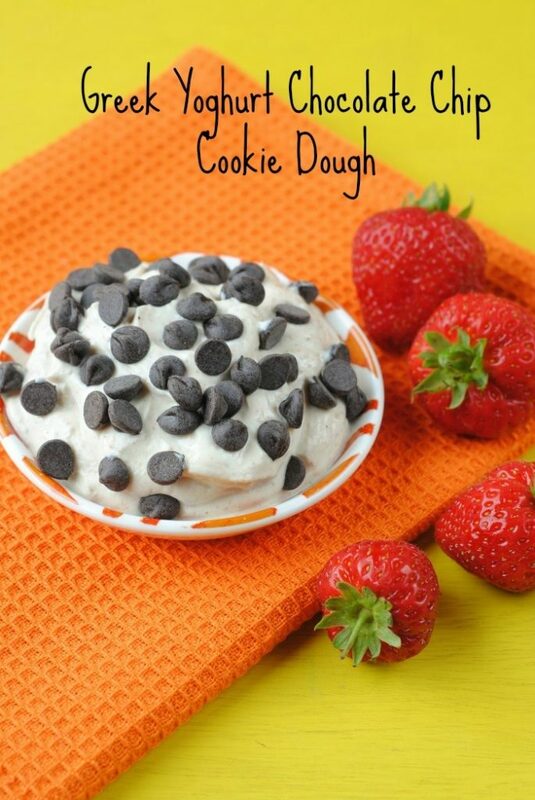 Cookie dough in yoghurt form. Oh yes please. Oh my gosh, this sounds perfect for me! I have pinned it and I really need to try it!